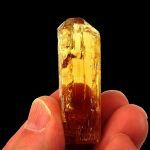 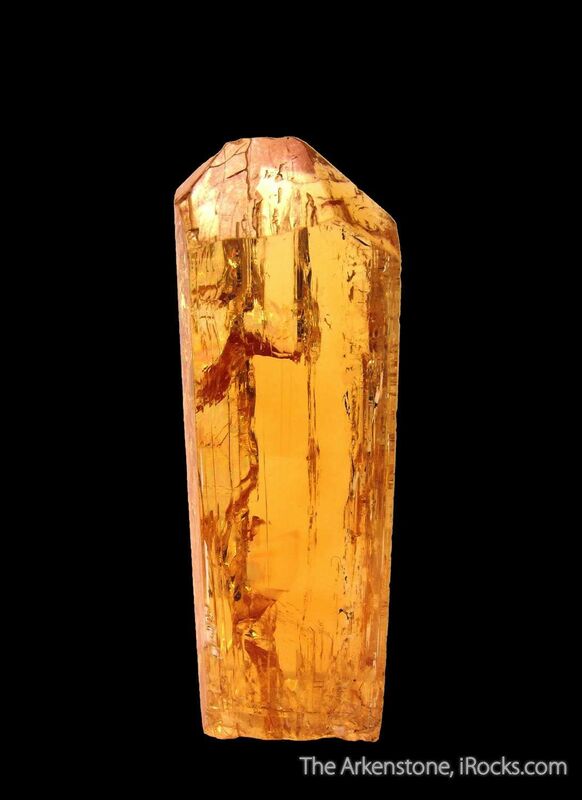 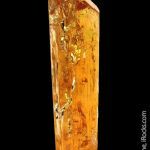 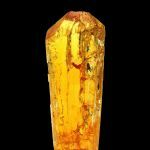 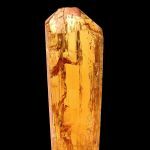 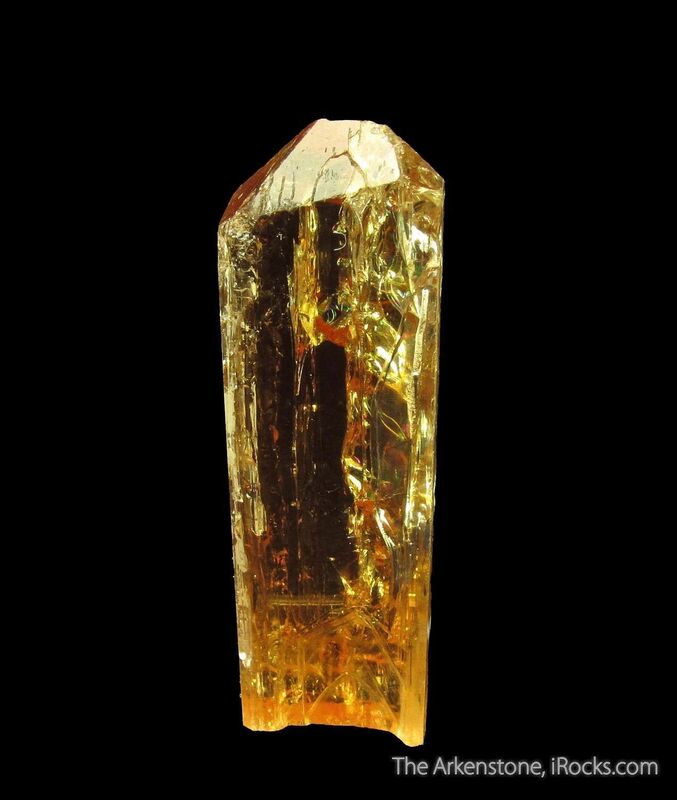 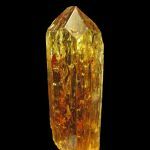 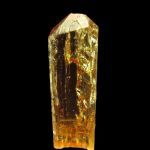 This golden-orange Imperial Topaz is a beauty. 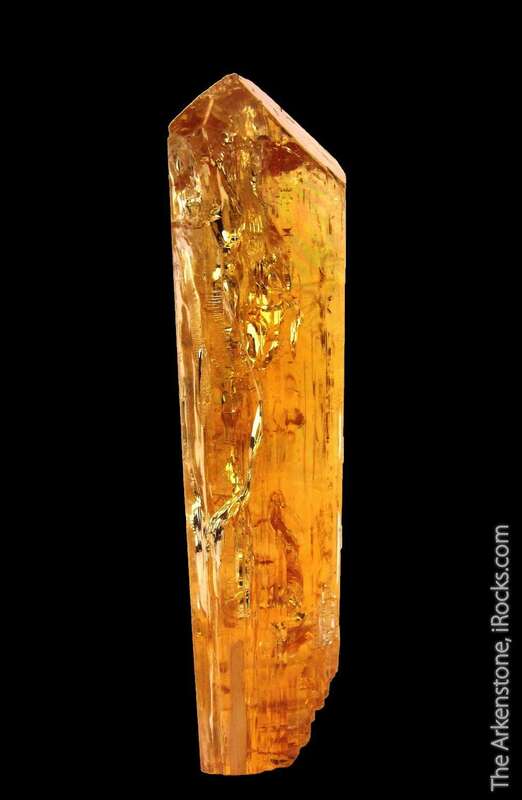 As lustrous and gemmy as you could ask for, it is BRIGHT and really glows on a shelf. 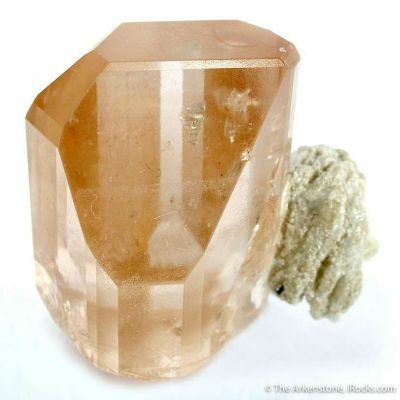 In size, it comes in at a full 5 cm tall. 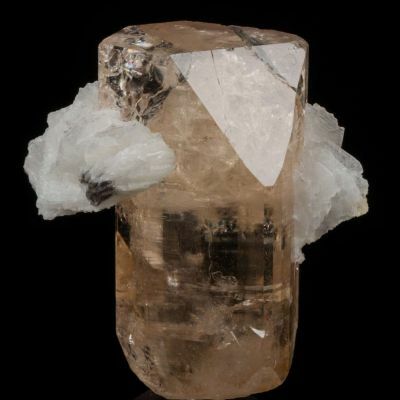 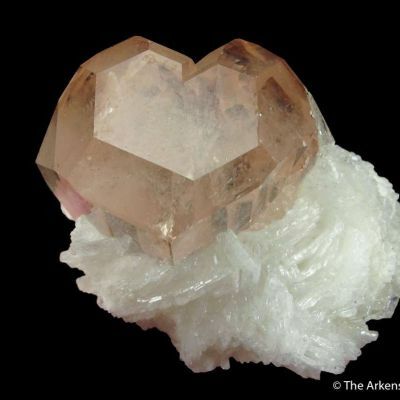 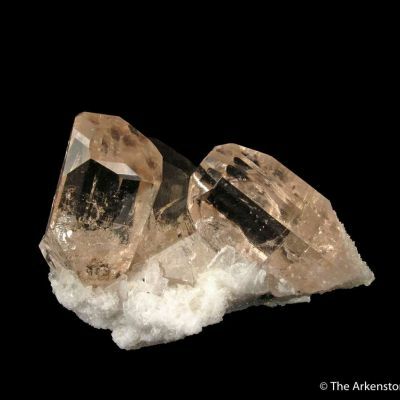 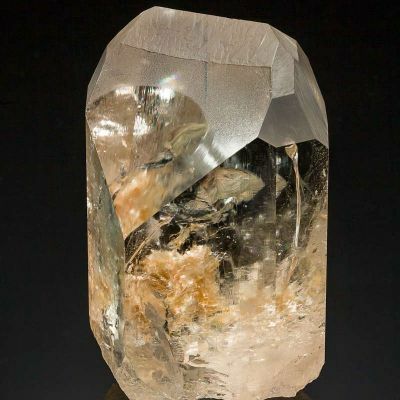 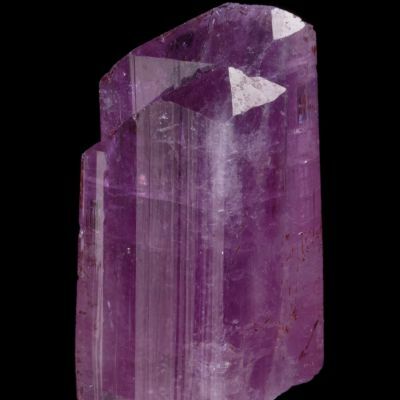 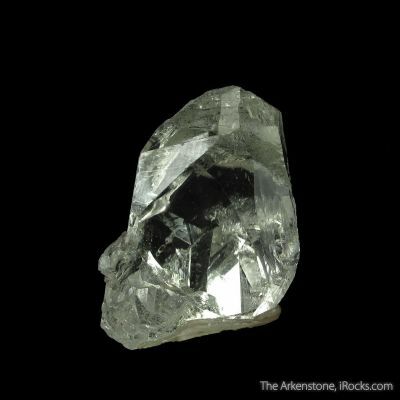 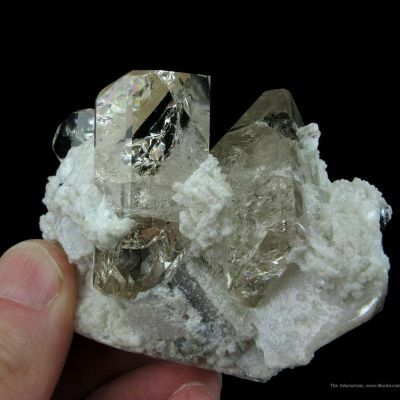 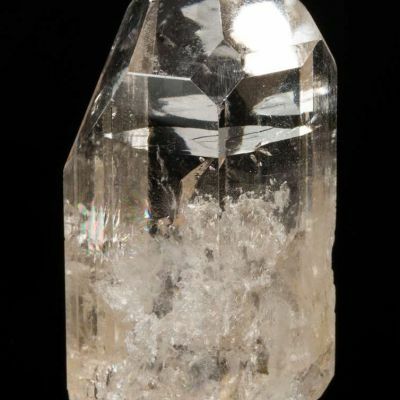 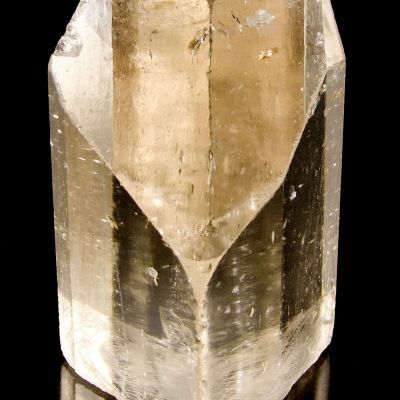 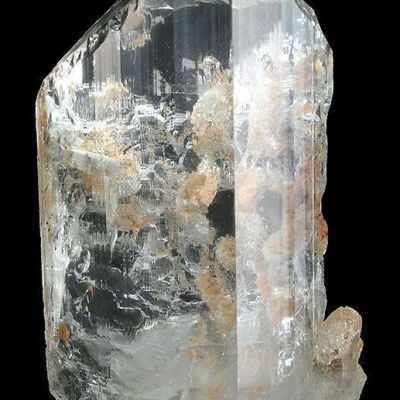 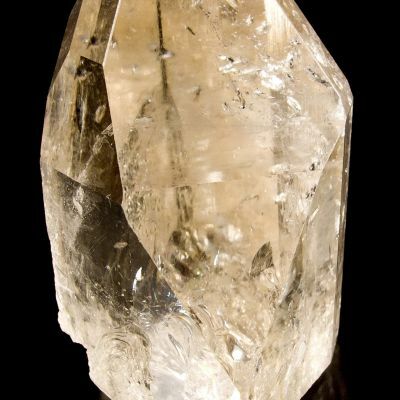 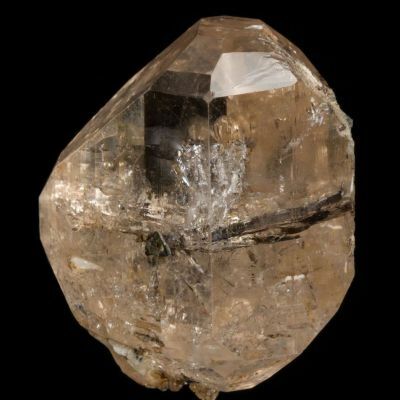 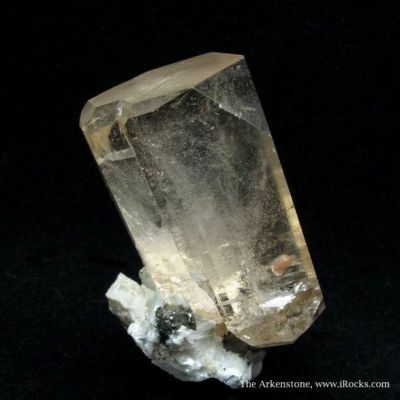 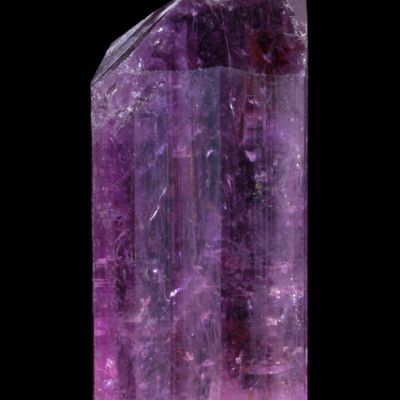 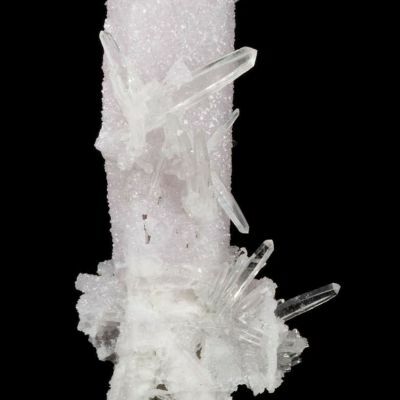 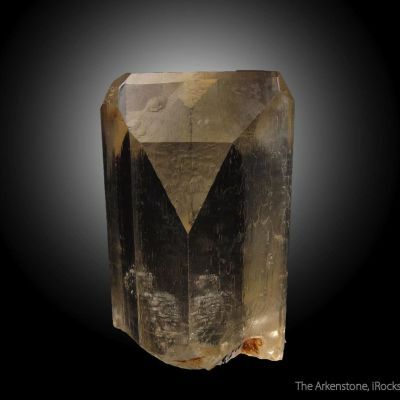 It is nicely terminated, with just a very small amount of edge wear (expected, as they are collected for gem rough and not by or for specimen collectors). 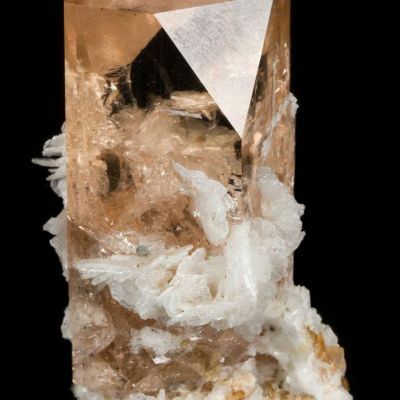 Three of the faces are nearly pristine, with only the back face showing a small cleavage at the base. 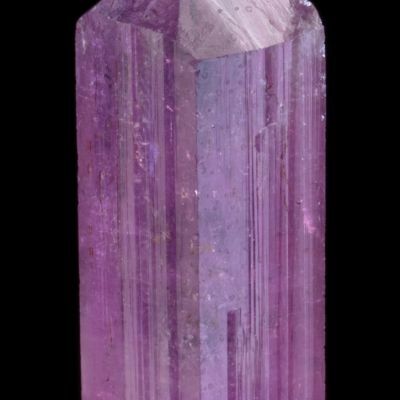 The mass is 29 grams. 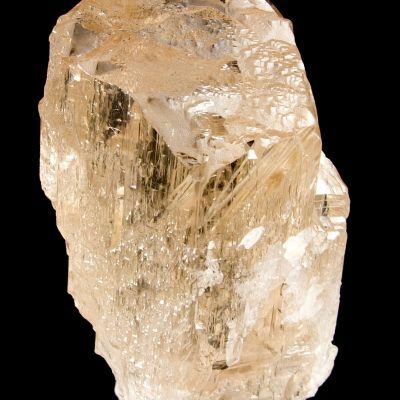 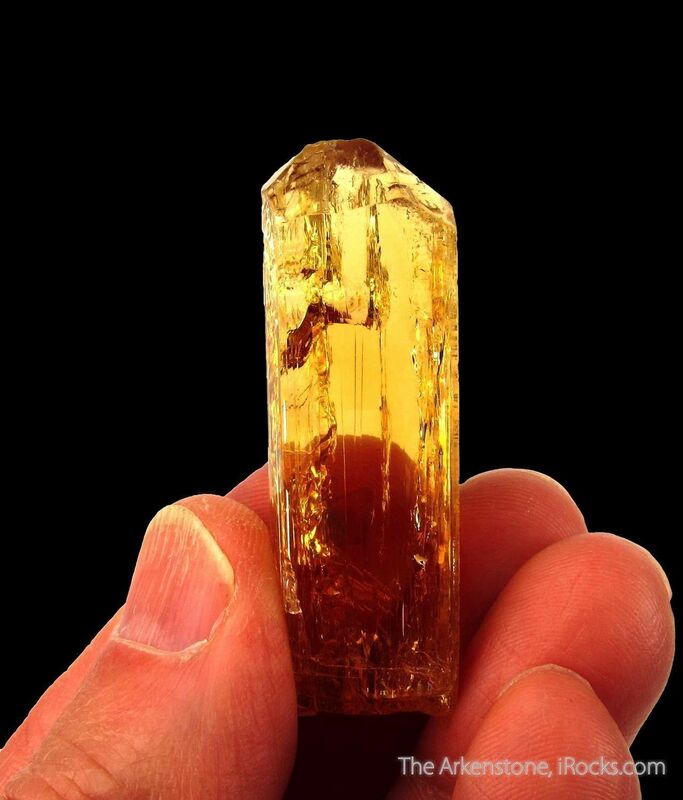 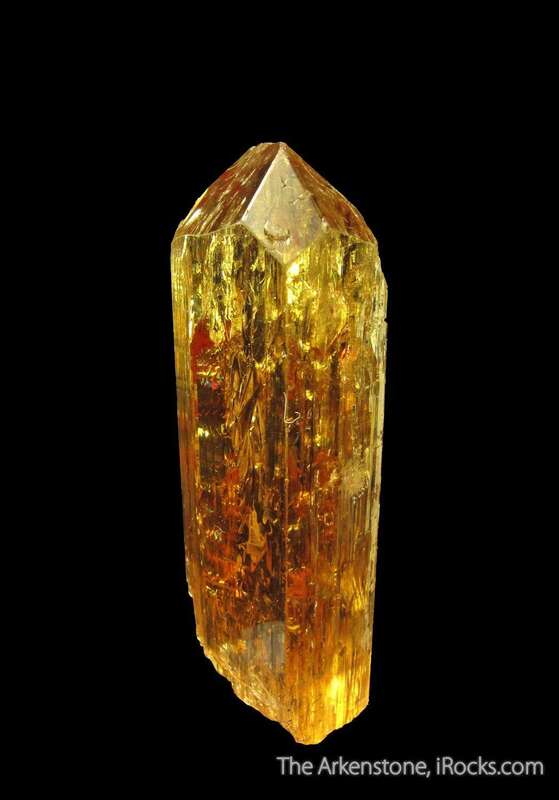 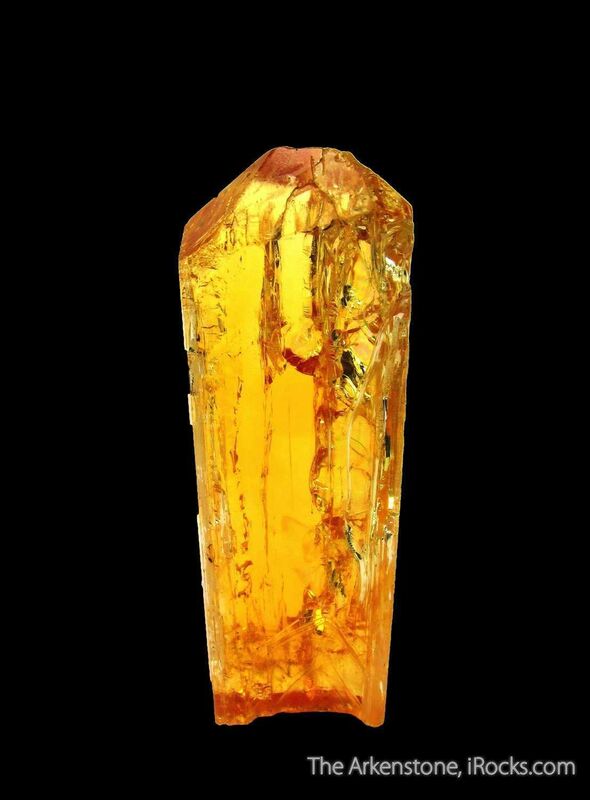 A very fine Imperial Topaz from the famous mine of Ouro Preto, which is the world's best source for this varietal.